as a child, I spent a lot of time by myself. 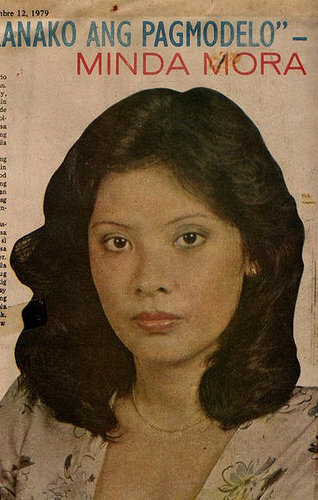 I was born in the late 70s in Manila, Philippines. 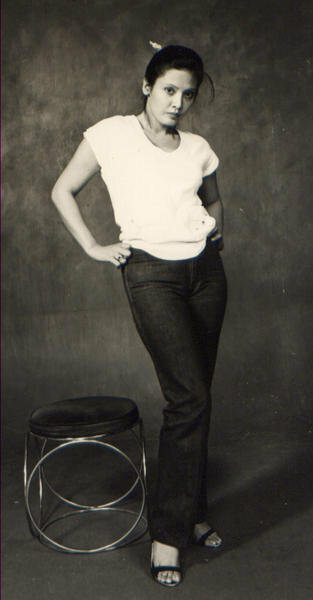 While we were living there, my mother had a busy modelling career. 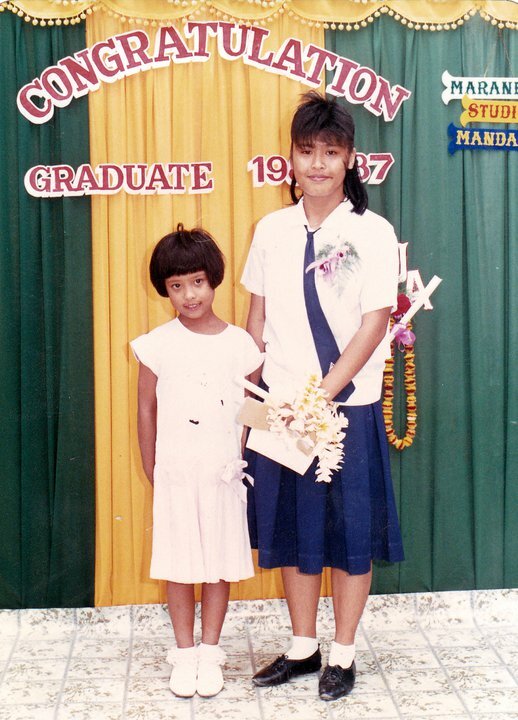 At the age of seven, we moved to Cebu in the Visayas, a little to the south of the country. By that time, my mother’s modelling career had petered out and my stepfather’s career in architecture also went by the wayside. As a result, they had to move to Australia to work. They then sent money home to support us kids. 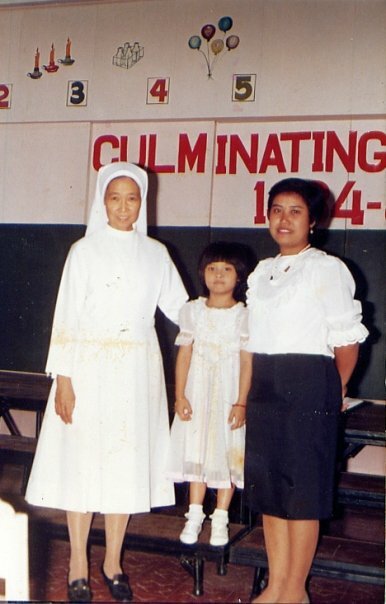 During these times I would read for three straight days without sleep, much to the annoyance of my older sister and my nanny. We had an odd mixture of books around the house: a set of Children’s Encyclopaedia, two thick tomes of The Webster’s Dictionary, and several thousand copies of my aunt’s romance Mills and Boons collection. All of these I devoured. The Children’s Encyclopedia in particular had a variety of techniques for art & craft works and I would try to teach myself how to make stuff from following the instructions. The Mills and Boons, I’m still trying to figure out what influence it had on me, if any. Because I had cousins that were the same age as me and we went to the same school, I often lived at their house. I was often away from my sister, my brother, and our beloved nannies. My aunt and uncle owned a large steel factory manufacturing alloys for heavy industry. I would watch and sometimes help fill out the pattern boxes to make the cores which formed and moulded the steel. 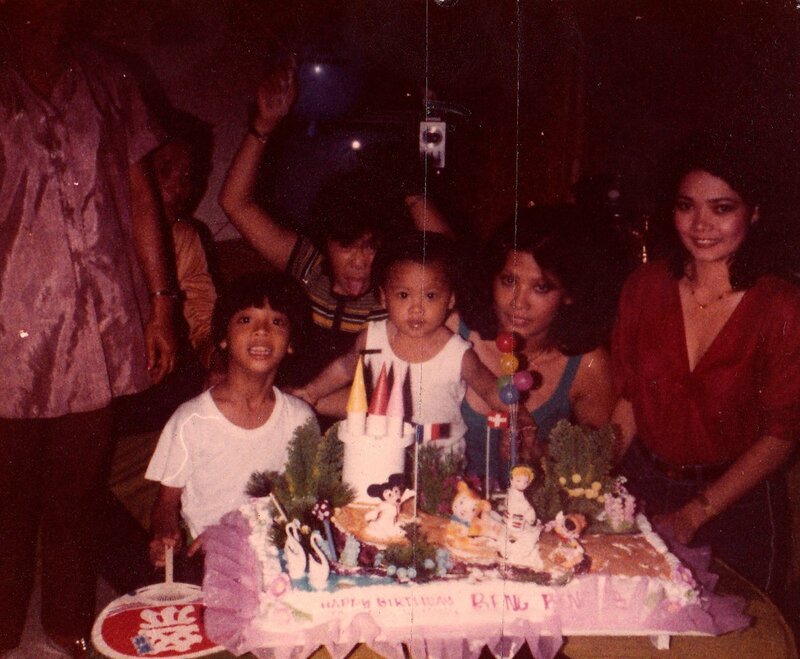 My parents would from time to time return to the Philippines to be with us, and our family would reform. One time they decided to settle back for good and start a car manufacturing business. It was incredibly stressful. My parents lacked the technical knowledge necessary. For example, during the trial run of the first and only car they built, the engine blew up. It turned out that the wiring was all wrong. The electrician that they hired wasn’t a car electrician at all! He was an electrician that specialized in wiring houses, not cars. When the car business tanked my parents decided to move the whole family to Australia. We arrived in Sydney in the winter of ‘91. I was eleven by then, and the five of us lived in a very basic one-bedroom apartment in upmarket North Sydney. My mother would walk me every morning to the local public school at Milsons Point, where after six months of being there, I was awarded the School Dux. To this day, I still think it was mainly because I spoke in an odd old-fashioned way. For example, I would say things like “thrice” instead of “three times” which made me sound like a book, instead of a child. The next several years were a blur to me as we moved from place to place, criss-crossing Sydney. I think we must have moved thirteen times by the time I was sixteen. Throughout this chaotic period, I was drawing and painting; grateful for the meditative peace and quiet it provided, and the kind teachers who provided me with encouragement. I also started listening repetitively to Triphop, to bands like Portishead and Tricky. Again, this was a form of meditation for me. By the time I was seventeen I had moved out of home, disrupting my final year of schooling. However, I had read somewhere that some of the most interesting people went to art school- my own high school art teacher went to the College of Fine Arts at UNSW. I decided to apply and was lucky enough to get enough marks to scrape through, despite the chaos of the year past. The first six months of art school was an introduction to various media – painting & drawing, printmaking, photomedia, time-based art. After exploring these departments, the students are then asked to choose their major. Despite the fact that I was already painting throughout high school, I did an about face; choosing time-based art as a major instead. And so, the next four years was all about video art, experimental films, sound, performance, and installation art. Maurizio Catellan, the Italian artist, once said “I don’t know what art does for the people who look at it, but it saves the people who make it”. And that’s how I fell into artmaking.